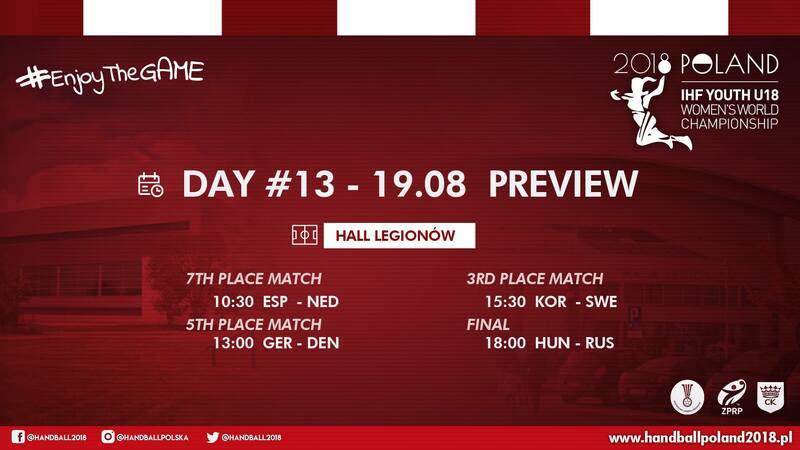 Sunday is the 13th, last day of the World Cup in Kielce. It is the time for the most important decisions. On August 19, in the Hall Legionow, the grand finale of the event is about to be played! But before we will see matches for bronze, 5th and 7th place. For both teams, the very presence in the “top eight” is a big success. In the 1/8 finals, the Spaniards unexpectedly defeated Norway (20:18), and Dutchmen France (24:23). The quarterfinals, however, turned out to be the peak of the possibilities of both teams. 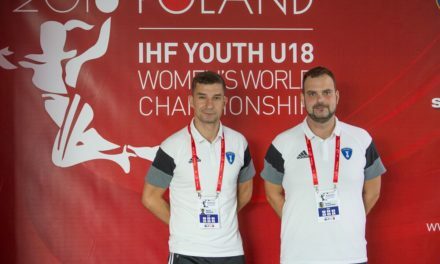 On Saturday, Oranjes, after an epic battle and penalties, lost against Denmark (29:31) and they will face the team from the Iberian Peninsula, which defeated against the Germans (20:24). The Champions of Europe will face the still-current vice world champions in the match for the 5th place. 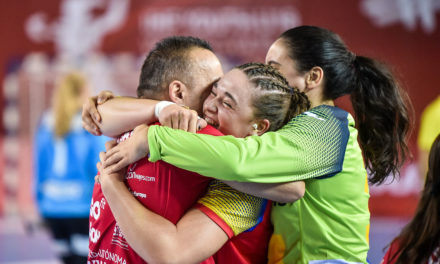 Both teams expected much more after the tournament in Kielce, but in the 1/4 finals, Denamrk was stopped by Russia (25:29), and Germany lost against sensational Korea (29:30). Nevertheless, both teams did not give up and won their Saturday games, thanks to which on Sunday they will play not only for the 5th place, but also for the prestige. The Danish-German clash is a rivalry of nations with great traditions in the world of handball. 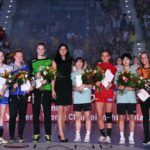 Korean girls, playing in a unique and spectacular way, want to win the medal of the youth world championships for the second time in a row. Two years ago, they brought bronze from Slovakia and now they want to repeat this. Asian player’s appetites were even higher, but in the semi-finals, the Hungarian team did not give them the smallest chance (29:34). 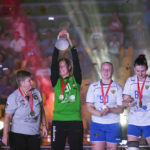 Rivals to the medal are Swedes – even though they were only fourth in the group, in the playoff phase they turned out to be a real sensation of the tournament. After the unexpected win over Romania and the Netherlands, they were stopped only by Russian girls (23:29). The Three Crowns team is hoping for a second medal in their history of starts in events of this rank. 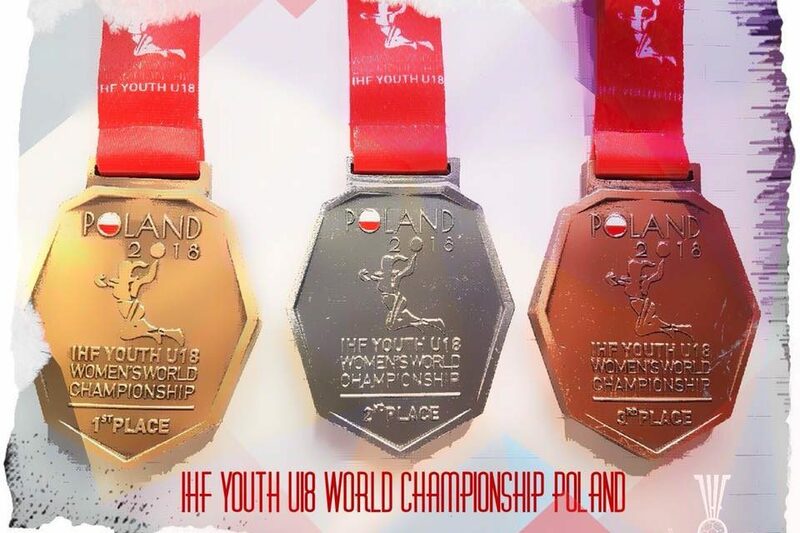 Will we have a new world champion, or maybe Russia will defend the title won two years ago in Bratislava? We will get the answer in the last, 92nd game of the tournament. It will be the clash of unbeaten teams, which illustrates best that the truly deserving teams will face each other in the decisive duel. It is impossible to find a favorite because both teams seem to have no weaknesses! We already can’t wait for this great match! You can not miss today events in the Hall Legionow!